Mixtec style objects. Mixteca area conquered by Aztecs around 1458 AD, in areas now around Puebla and Oaxaca. Anthropomorphic sculptures are style typical of the region. 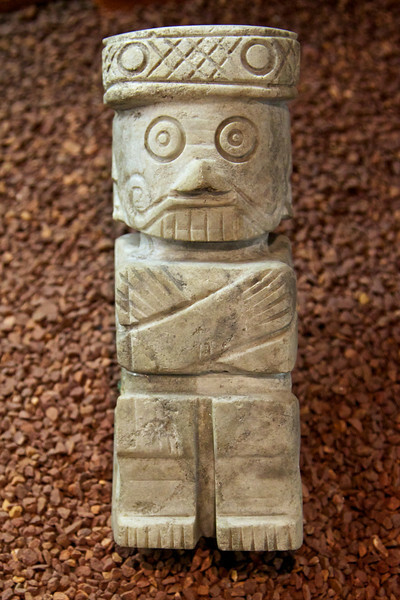 Many sculptures personify deities, especially Tlaloc, god of rain. Manufactured for purpose of tribute to Tenochtitlan.